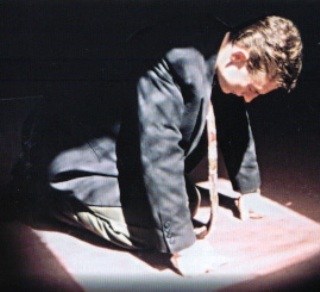 What Does Repentance Really Look Like in a Man of God? Posted on November 23, 2011 December 25, 2017 by Marty Schoenleber, Jr. Ours is a culture that desperately needs to gain David’s perspective on what sin is and how serious it is to a holy God. David shows us in Psalm 51.
. compassion blot out my transgressions.
. And cleanse me from my sin. His heart’s cry is that God alone possesses the type of love and compassion capable of erasing his sin. He writes, “according to your lovingkindness, according to your compassion.” Human forgiveness that is resourced in the heart of man is not enough. He feels the weight of his rebellion against God and runs, as fast as he can, to the mercy of God. Throughout the Psalm he uses three different words to describe his sin. He describes the character of his sin in clear unambiguous terms. He describes it as a cosmic rebellion against God and His will. He describes his corruption as rebellion, waywardness and guilt. Many in our nation are praying for a revival. It is a great prayer. 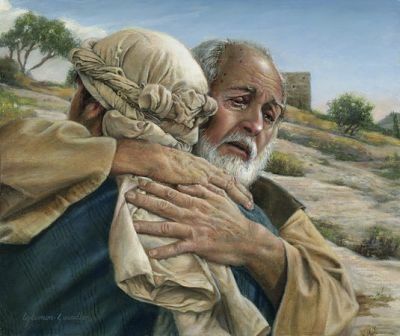 But it may be a powerless prayer until we recognize that to “humble ourselves” and “turn from our wicked ways”, to seek the face of God like the prodigal son or like David means coming to grips with the seriousness of our sins and the fathomless grace of God that is not taken for granted but clung to as our only hope. Then, only then, the waiting Father will run to us. When we are reduced to nothing but need, when all other hope and props are gone and the Father’s love in Christ is our only refuge, then we will see revival. “Lord, make my heart like David’s. Let revival of a nation start with me. Is Meditation a Key to Spiritual Formation? Excellent and powerful. I love the way the graphics you selected support the message. John and Terry, you are two of my heroes. I count it an incredible mercy to have friends such as you. Thank you, Marty, for reposting this. It is very apropos at the beginning of the Lord’s Day. It reminds me that my worship today must begin with repentance and contrition. There is a cleansing required before I can present myself as a Romans 12:1 sacrifice of worship. He did on this end. How about yours? And in ways I never would have anticipated. Pray for us as we minister into a very broken marriage and one with the possibility of very serious repercussions. Day was a glory. Got to preach the word four times. God was glorified, the word went out and the body was encouraged.